When it comes to growing cannabis, there are lots of different goals by different growers. 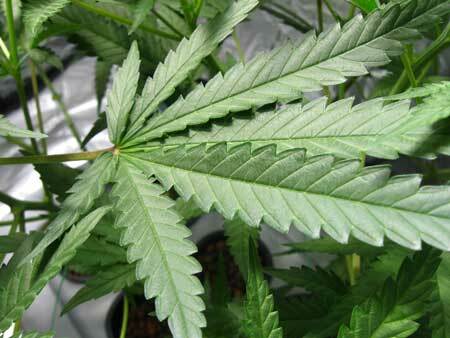 Many growers are growing medical marijuana for medical-related purposes. Others are growing for their personal adult use. For many growers, including both medical marijuana and recreational cannabis growers, a common goal is to maximize the amount of THC and other cannabinoids produced when growing cannabis (ie increase the “potency” of your buds). This cannabis bud was grown to produce the highest levels of THC possible – as a side effect it is dense, sticky and looks great. Why Increase Maximum THC Levels? 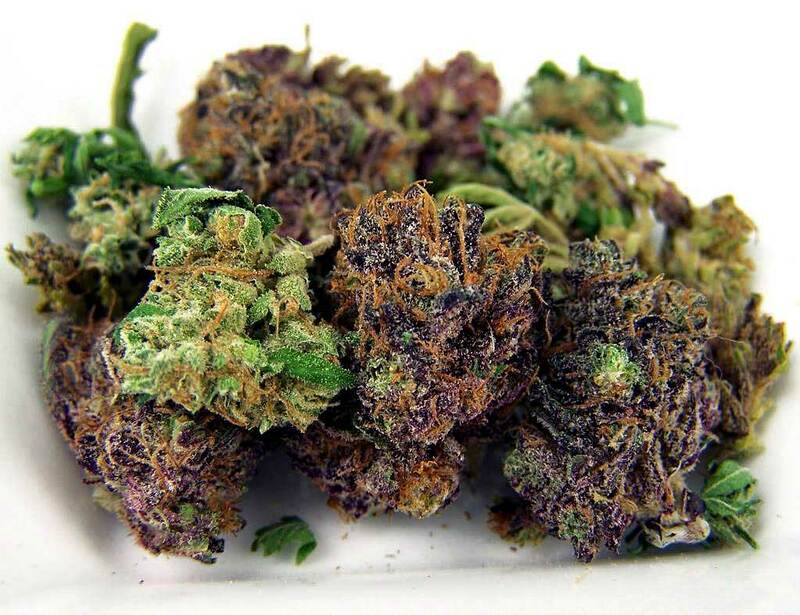 Many medical marijuana growers desire high THC levels for the relief of nausea, certain types of pain, spasticity, certain symptoms of multiple sclerosis, etc. Many of the things you do to increase THC levels will also increase your overall cannabis yields. However, not every grower wants the highest levels of THC in their bud, and may actually be seeking other cannabinoids found in certain strains. For example, there are many medical marijuana growers who prefer low-THC, high-CBD cannabis, which is non-psychoactive and may be of interest to those looking for possible relief from anxiety or seizures. Learn more about the difference between CBD and other cannabinoids like THC (unfortunately you can’t use grow methods to increase CBD levels, you need to start with a low-THC, high-CBD strain). What increases THC levels and overall potency? Your plant’s genes are hands-down the most important aspect of cannabis potency when it comes to growing! Your plant genetics set the “upper limit” of how much THC and other cannabinoids your plant will ever be able to produce. Although you can use grow methods to maximize the THC within that limit, you will never be able to overcome the limits set by your strain and plant genetics. So as a really rough example, let’s say your strain/plant genetics can only produce 15% THC at most. That means you may get less than 15% THC in your buds if you don’t grow the plant right, but no matter what you do you’ll never be able to increase it above 15%. In order to get really high levels of potency and THC, it’s essential to start with high-potency, high-THC genes from a respectable breeder. 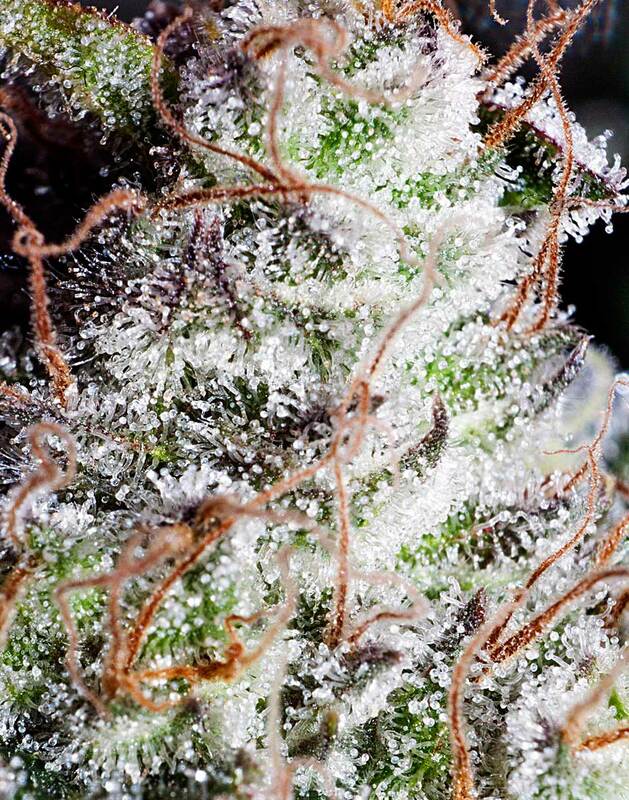 Learn how to research strains so you get the most potent cannabis plant to fulfill your needs. If you’ve never ordered cannabis seeds before, learn how to get seeds delivered to the US and worldwide. Some strains just don’t have the genetics to make cannabis buds as potent and trichome-covered as the one pictured here! Unfortunately, there’s nothing you can do to beat genetics so start with good genes! Many cannabis growers don’t realizing they are actually harvesting their buds too early, dramatically reducing yields and potency! There is a 2-3 week period during the flowering stage when plants are “mature” and buds are at the highest levels of THC. 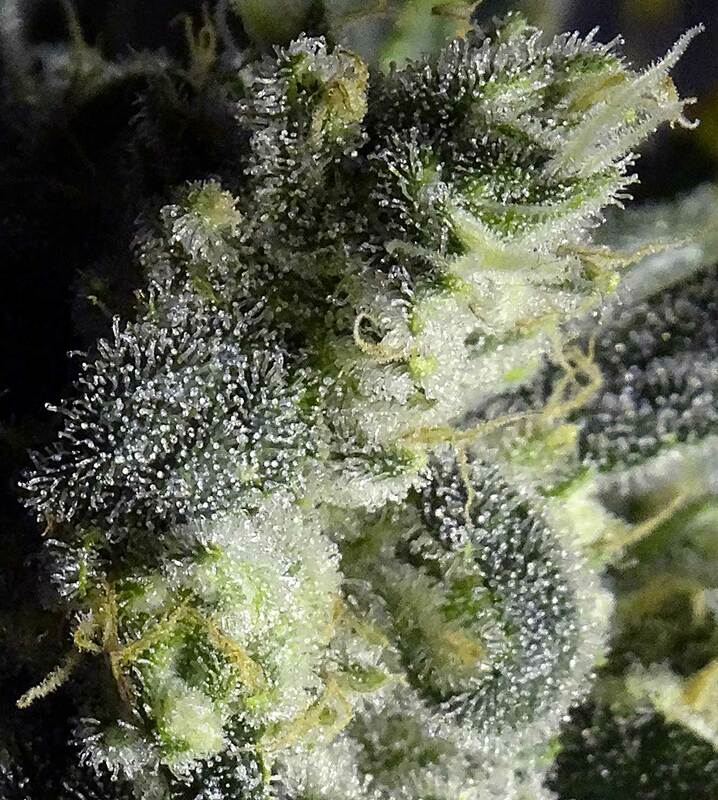 At this point, the tiny resin glands (trichomes) on the buds have turned milky white, and most of the white hairs (pistils) on the buds have darkened and curled in. If the plant is allowed to keep maturing, the cannabinoid profile continues to change. Buds harvested on the later side tend to produce more of a relaxed “body” effect, though the psychoactive effects of THC may be somewhat reduced. If you harvest earlier than this, the plant hasn’t reached its full potential. Sometimes early-harvested buds can produce a “speedy” effects, or give some people headaches (curing will help with this) so avoid harvesting early if you can! Get the effects you’re looking for! This cola has several weeks to go before it reaches its highest THC levels – harvesting now will reduce both your yields and your potency! In order to get your cannabis to produce the most potent buds possible, you need a robust, healthy cannabis plant with lots of bud sites getting direct light during the flowering stage. This means it’s important to avoid common plant health mistakes like overwatering, underwatering, heat stress, root problems, irregular light cycles, and nutrient problems. Check out our 7-step remedy to fix most cannabis plant growing problems. 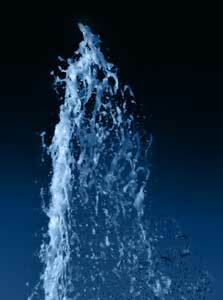 Try to maintain balance and avoid environmental extremes. Basically, treat your cannabis plant like it’s a celebrity – it gets everything it wants! Although cannabis can grow in relatively low light conditions (it grows like a weed! ), it will not produce significant amounts of bud without very bright light in the flowering stage. 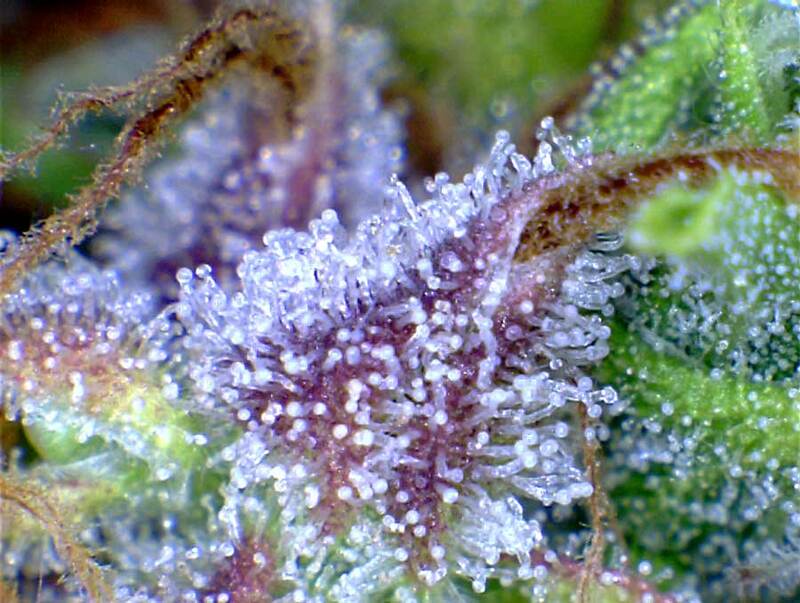 Cannabis uses light to power the growth of buds, along with the THC and cannabinoids contained inside. 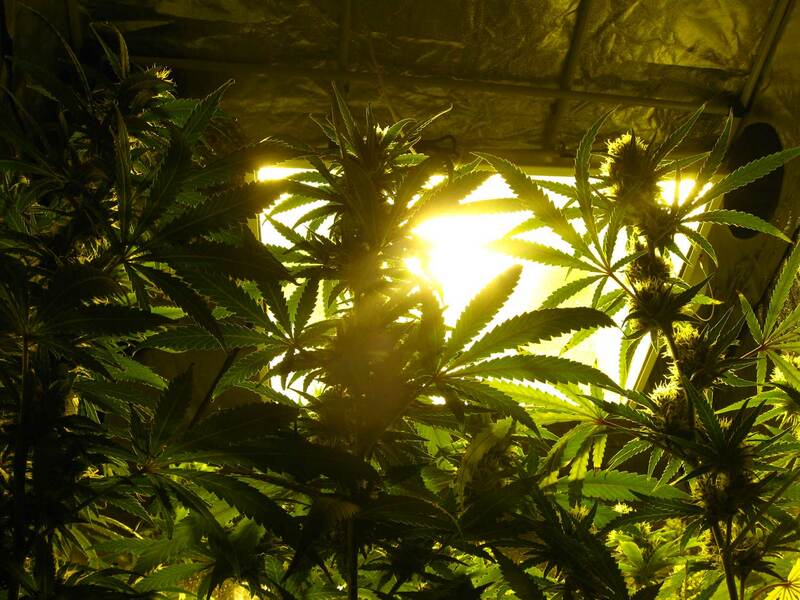 Outdoors your plant needs direct sunlight 8+ hours a day to produce to its fullest, and indoors you need strong, bright grow lights (like LEDs or MH/HPS grow lights) to produce the highest levels of THC. 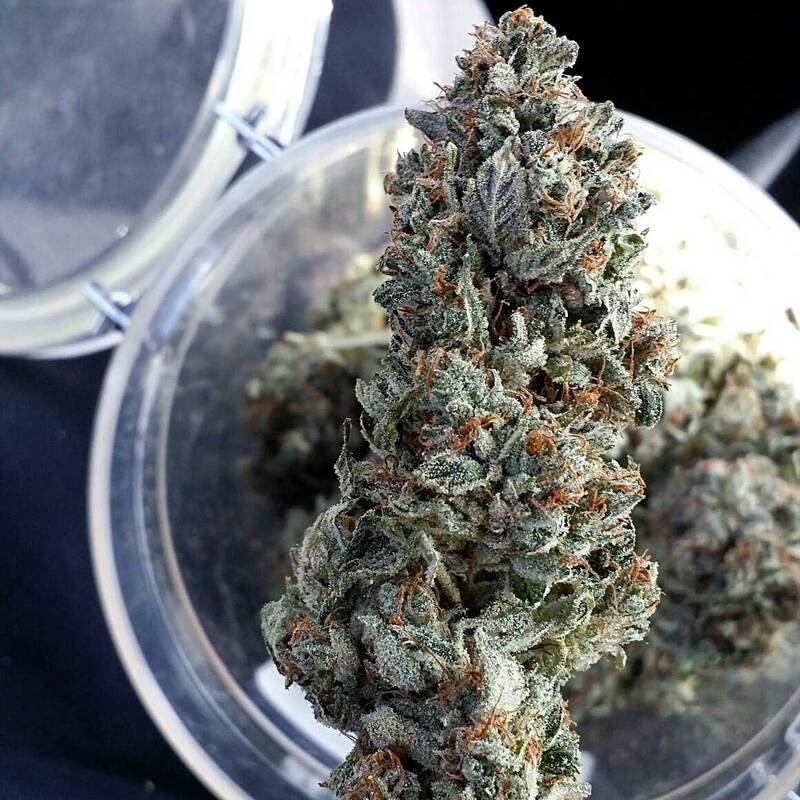 Although there is no evidence that the curing process (jarring up buds after they’ve dried) increases THC levels directly, there is a lot of evidence that it increases the perceived potency of buds. Though not well understood, this may be because there are chemical changes that happen during the curing phase that “intensify” the effects of THC and other cannabinoids. The curing process also has other benefits for marijuana growers. For example, newly dried cannabis buds often smell like cut grass or hay, even if they smelled great in the flowering stage. The curing process helps get rid of the unpleasant grassy taste/smell and brings back the natural taste and smell of the cannabis plant. Lastly, uncured and early-harvested buds can cause “speedy” thoughts or headaches for some people, and curing often reduces these negative effects. Although it’s true that using CO2 can increase your overall cannabis yields, there isn’t any evidence that it actually increases the potency of your bud. Learn about other ways to increase yields. These are some of the common ways growers try to increase the THC levels of their cannabis. These techniques and methods are considered “unknowns” because there hasn’t been a whole lot of scientific testing to see what works and what doesn’t work as far as increasing THC. There are many supplements for growing cannabis, and each one has a different purpose. Some supplements are great, while others are just snake oil. When it comes to supplements for bud quality, most claim to increase yields or flavor as opposed to potency. However, there are some supplements that either claim or insinuate that they will increase the potency and/or THC levels in your cannabis. Unfortunately, at this time there aren’t any supplement companies which have conducted systematic tests showing that their supplements will actually increase THC. Because of this, although it seems possible that some of these do work as stated, I can’t recommend any ones in particular. If you know of any supplement manufacturers who have actually tested their products on real cannabis plants and can demonstrate that their supplements actually increase THC, we’d love to hear from you! I’ve heard this one from different growers over the years, but for now, the jury is still out. The idea is that a cannabis plant needs to remain in the vegetative stage for at least 8 weeks before being switched to the flowering stage in order to reach its maximum THC levels when it starts budding. Cannabis plants which have been allowed to grow for at least 8 weeks in the vegetative stage tend to be much bigger and more robust than plants switched earlier, and they produce far greater yields. But does that mean that they produce higher levels of THC? It seems like it could be possible, but it might also be related to other factors. 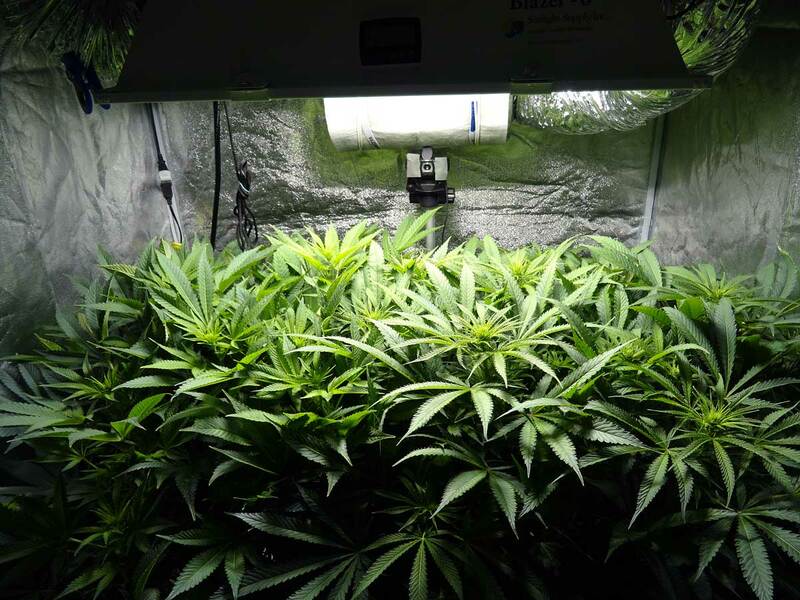 For example, big plants are usually grown under powerful grow lights, which affects potency, and are also often grown by more experienced growers. More testing is needed! Sprout more seeds of the same stable strain and grow them until they’re about 3 weeks old so they’re the same size as the clones. You want to time this so that the seedlings are about 3 weeks old just as the clones are the same size and taking root. Seedlings can’t start flowering before 3-4 weeks old and we’re trying to create as close to the same conditions as we can between the two plants to reduce as many variables as possible. Now that you’ve got your 3-week seedlings and your “8-week” clones that are the same size, flower them together in the same conditions. 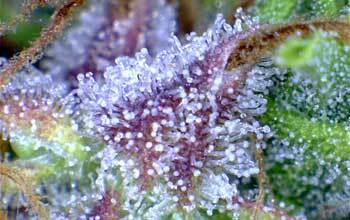 After harvest, test the THC levels! If the buds from the clones are more potent than the ones from the seedlings I’d say it’s pretty good evidence that increased age increases potency. If not, well, back to the drawing board to try another test! Letting plants get older before the switch to the flowering stage definitely results in bigger plants and higher yields, but we don’t know if it increases cannabis potency! 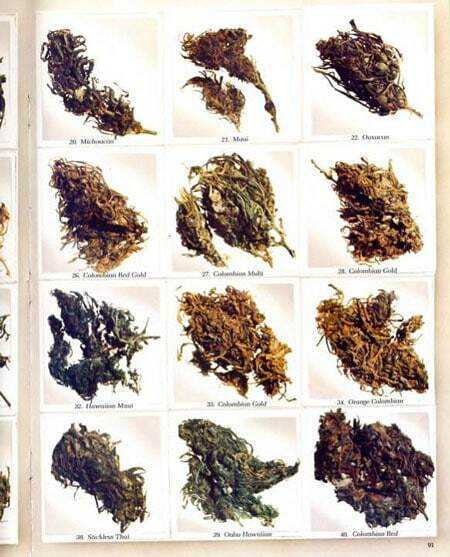 Just a few decades ago pretty much all cannabis bud you could find was full of seeds. 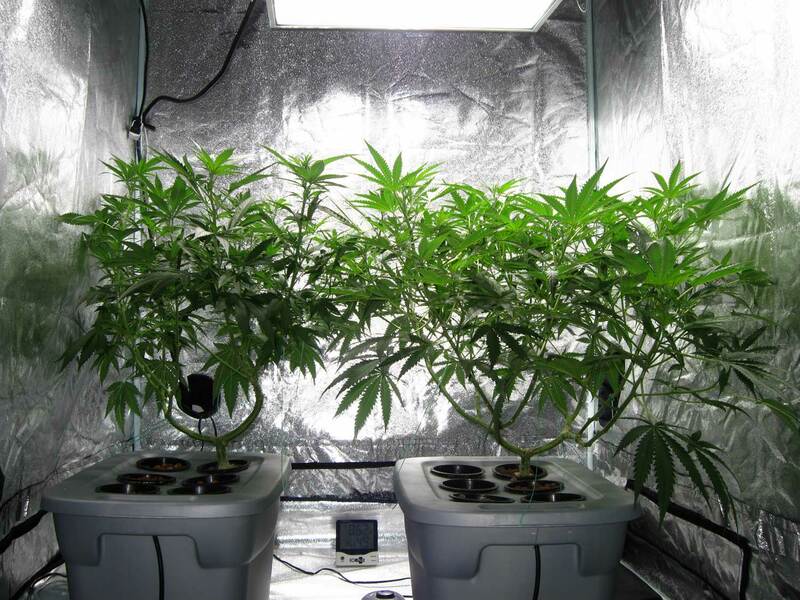 This is because at the time many growers didn’t realize that male and female cannabis plants need to be separated in the flowering stage to prevent the female plants from getting pollinated and making seeds. Seeds belong in your garden, not in your buds! 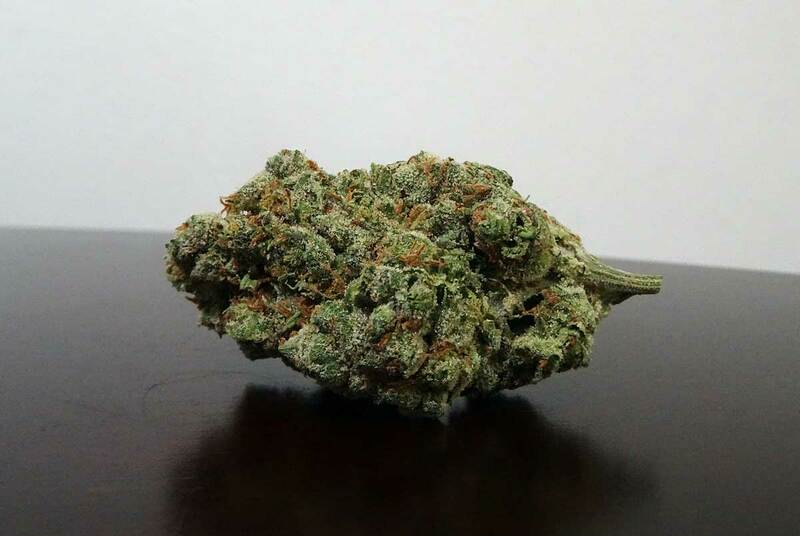 The sinsemilla bud that started flooding the market was much higher potency than the seedy, low-quality bud that had been available before. This led to the term sinsemilla being used to describe very high quality and potent cannabis. There’s no doubt that most growers prefer buds without seeds, but the term sinsemilla has led to the idea that cannabis buds without seeds were inherently more potent than seedy bud. While this may very well be true, there isn’t much evidence that it’s actually the lack of pollination which caused the dramatic increase of potency experienced by cannabis enthusiasts at the time. Right around the time growers started producing non-seedy buds, the cannabis breeding scene was also starting to get established. Publications to assist cannabis growers like the High Times magazine appeared on the scene to help growers learn better growing techniques, and cannabis breeders like Nirvana started shipping cannabis seeds of famous strains to growers all around the world by mail order. Growing and breeding techniques were improving simultaneously. It’s possible that the increase in potency experienced by people who switched to seedless buds was actually the result of better genetics/breeding. These days, most people only get sinsemilla and no one really wants to do direct comparisons. However, keeping buds from producing seeds will dramatically increase the perceived quality of your buds, as well as your yields, so regardless of whether it increases bud potency or not, it’s something every grower wants to do! Don’t let your female plants get pollinated – remove all male plants from your grow room immediately (or start with feminized seeds, which don’t produce any male plants)! Different types of grow light produce different spectrums (colors) of light. 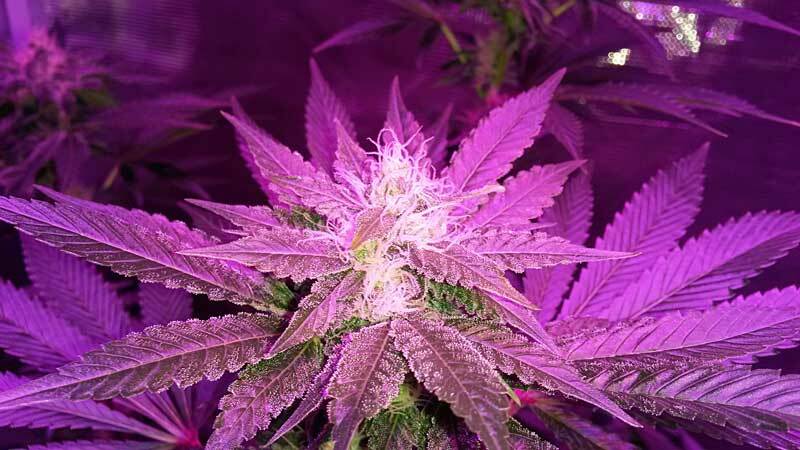 There are some growers that believe that growing cannabis under the unique light spectrums of LED grow lights or LEC grow lights may increase resin production and THC levels. Other growers swear that you need powerful HPS grow lights to produce the highest levels of THC. During the flushing process of growing cannabis, a grower generally gives their plants just plain water for the last few weeks before harvest. 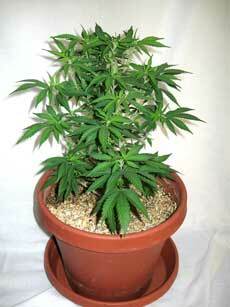 This is done to encourage the cannabis to “cannibalize” itself and use up all remaining nutrients in the plant. However, there are several additional types of flushes that many growers believe will increase THC levels. Most of these are done in addition to regular flushing, just before harvest. Unfortunately, there aren’t many (if any) tests determining which one of these work, but there are many experienced growers who swear by these methods! Unfortunately, they don’t all match (for example some growers say to harvest in the morning, while others believe you get more THC if you harvest during the plant’s dark period), but these are the most common flushing techniques that I’ve heard to increase THC levels right before harvest. Since the study is based on hemp grown outdoors, it’s hard to know if these factors will influence the THC content of cannabis plants grown indoors, but I do think it’s a good idea to keep things warm (at least above 70°F/20°C which is the minimum recommended temperature for optimum growth) and avoid overwatering! Common grower knowledge says that lower humidity towards the end of the flowering stage will raise THC levels, but this study makes me want to look into that further since the hemp in the study actually produced higher levels of THC at higher humidities! 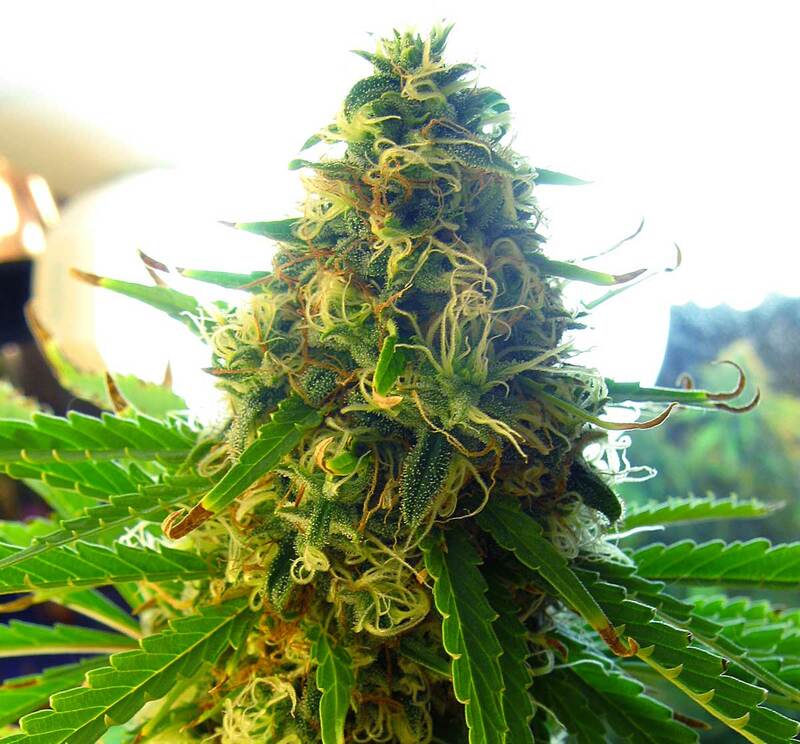 Conclusion: Time to Grow More Potent Cannabis! 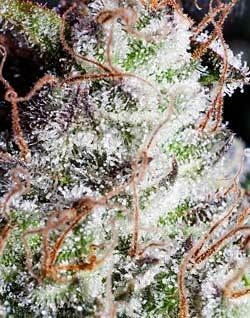 There are certain techniques that will definitely maximize the THC produced by your cannabis, and there are other methods which may increase potency but their effects are less certain. If you are serious about increasing the THC levels in your cannabis, make sure to follow the top steps which are known to increase potency! Skipping any of those steps will reduce your potency for certain! Choosing the right strain, giving plenty of bright light, taking great care of your plants while they’re alive, and harvesting/drying/curing properly are the most important steps you can take to increase the THC levels of your buds! But luckily for cannabis growers, most of the “unknowns” can’t hurt your plants, so there’s no harm in trying them out, too! How long does it take to grow and harvest weed? 10 Steps to Start Growing Cannabis Today!